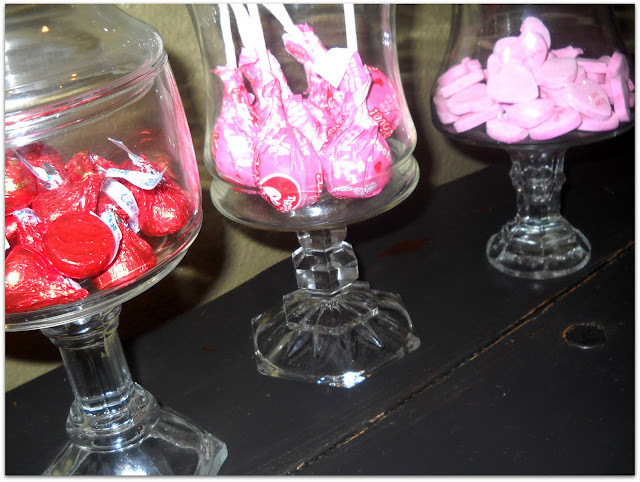 I love displaying things in Glass jars around my house, and absolutely ♥ed how these ones turned out! First, purchase your jars. You can use all shapes and sizes. I found all of mine at the DI, (Local thrift store) from .50 to $1.00. I like to find uniquely shaped jars with chunky knobs. Then you need small glass items to attach to the bottom of the jar. 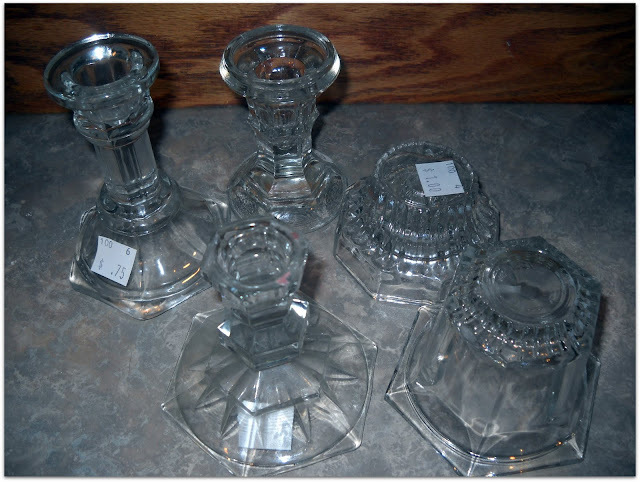 I found candlestick holders & small glass cups (also .50- $1.00 a piece). Can't you just imagine these at a childrens birthday party, filled with all sorts of yummy sweets? I can't wait to make more! I filled them with Valentine Candy for February, and rewarded my kids with a little treat when they made a good choice. They loved it! This is such an easy project to add holiday decor into any home. Now all I need to do is purchase some vinyl for my cricut and make cute little labels for each one! Aren't the Knobs divine? I Hope that everyone had a beautiful Valentines day and that the rest of your month is filled with love! Very very super cute! Such a great way to recycle stuff!! Thanks for the tip about the adhesive too!!! I need to remember what candle sticks and jars can do the next time I run past them! those ARE adorable!! 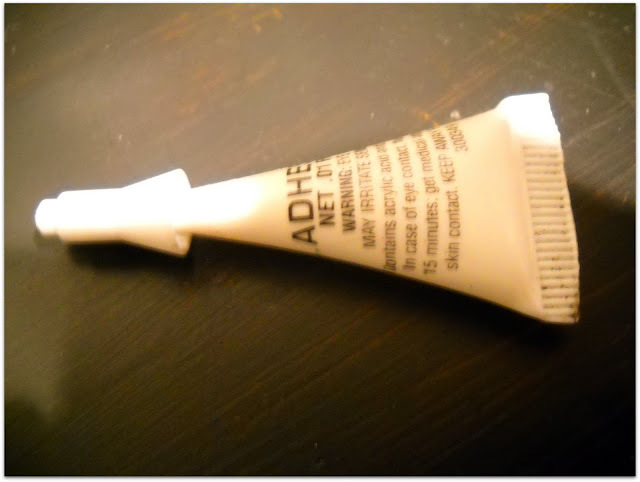 GReat job, and thanks for sharing the tip about the adhesive! These came out so great! Kind of reminds me of an old fashioned candy store! I wish I could have more glass items in my house but with 2 sets of nosey little hands, I have to pass the glass sometimes. Hey, that rhymes! LOL! I LOVE apothecary jars and have quite the collection. (to my hubby's dismay) I am going to have to try that glue though cause all the ones I have made in the past the glue is yellow tinted on! So I am going to definitely try it this way! I love these! 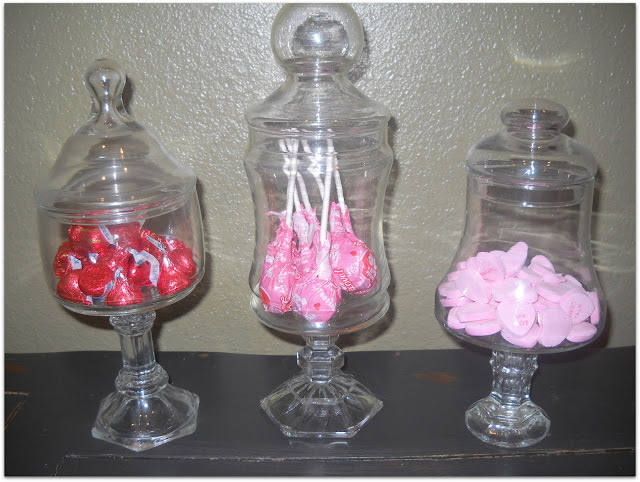 What a great way to make your own apothecary jars. I also love that they are like mini versions. Great job! So very glad I found your blog. Darling- and easy enough that I think I'll try it! I just ran across your blog and I love it! I just moved away from Utah and it makes me miss the DI terribly! Love those DI finds! I was just at the DI near my home yesturday. I left saying I would never go back. Waste of my time. I wish I would have seen this first. I am sure there were some glass jars. I guess you just have to be creative and know what to look for. Maybe, just maybe I'll go again. I will be back to visit yours for sure. I just stumbled upon your blog today. As you say, I "lurve" it! My creative juices are flowing and I can't wait to get to work. Thanks! These are so sweet. I need to make a few. Thanks for the great idea! Thanks for the glue idea--I still find epoxy and other strong glues don't hold. I am going to try this stuff! This is amazing! I'm going to definitely try this at home! I was with you when you bought those! :O) They are so super cute! I definatley am going to make some! LURVE IT! those are my fav hanna!! Very, very cute and practical. Fab idea Hanna!! I love these, they would just never survive my house. Maybe I'll make some for gifts!! 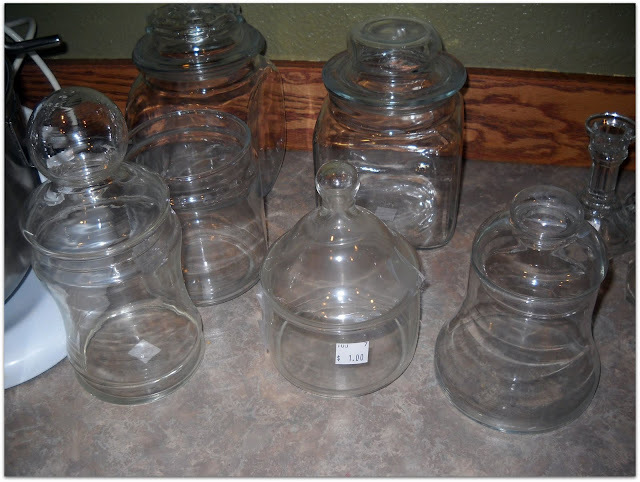 I saw jars like this (but MUCH more expensive) in Better Homes & Gardens filled with bath supplies like cotton balls, bath salts, etc. It would also be good to show little collections of sea shells, pinecones, etc. Thanks for the idea. 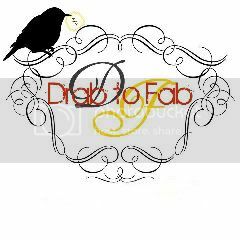 I'm new to your blog and definately will be checking back. I LOOOOOOOOOVE these. You are brilliant. You have me excited about using up a bunch of old glass stuff I have. But that's the whole idea of this blog!! Ha. Good work. This is so great! 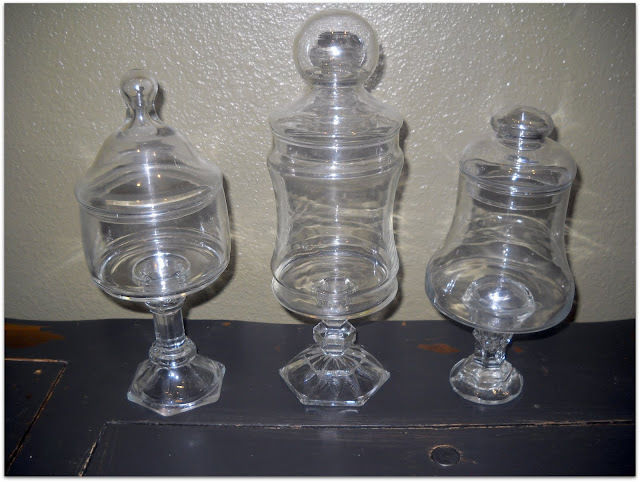 I will be checking out my cabinets for candlesticks and jars later today! LOL! I just found your blog via Becky at Beyond The Picket Fence. Love what I see! 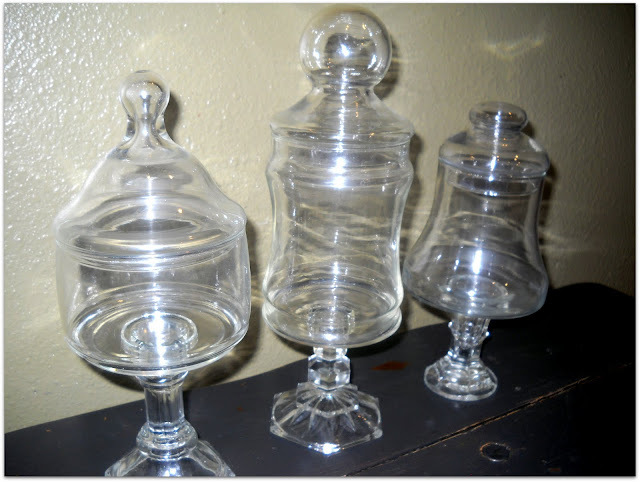 These apothecary jars turned out great--you were lucky to find the components at the thrift store!! 'cause I loved these so much! !